Compassion started working in Ecuador in 1974. Today, there are over 98,000 children registered in our programs through 266 church partners. Dear Sponsor, Greetings in Jesus’ name! My name is Jose Carrasco. I’ve been privileged to serve as Country Director of Compassion Ecuador since 2016. I was born in Peru. 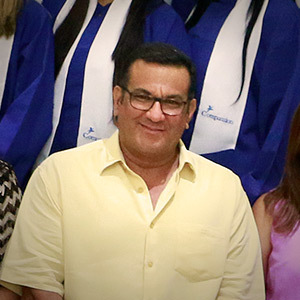 I am married to Laura, and we have two wonderful children, Jose Alonso and Natalia. Thank you for being our partner in this endeavour by loving and supporting your sponsored child. Greetings in Jesus’ name! My name is Jose Carrasco. I’ve been privileged to serve as Country Director of Compassion Ecuador since 2016. I was born in Peru. I am married to Laura, and we have two wonderful children, Jose Alonso and Natalia. Thank you for being our partner in this endeavour by loving and supporting your sponsored child. Your love and care mean everything to their future. Thank you for your generosity. Compassion has been serving Ecuador for 43 years. God’s faithfulness has allowed us to see results in many lives. 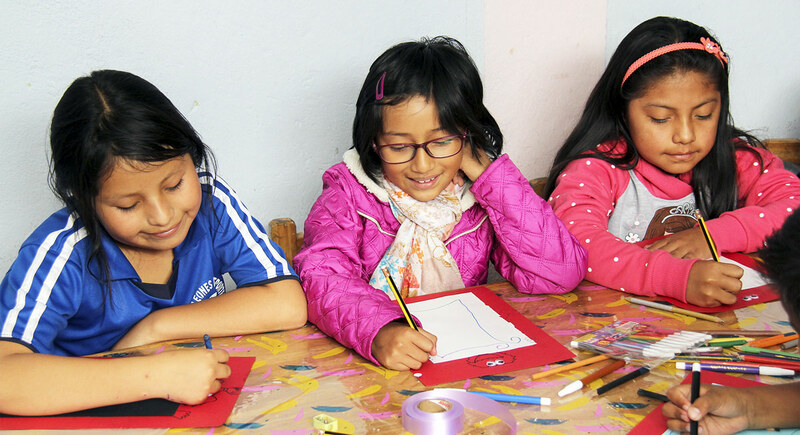 We currently have more than 260 child development centres in Ecuador, serving more than 97,000 children and youth. Their development is consistent, due to the sustainability of the program. Its holistic approach brings transformation as the children apply Christian values and healthy behaviours while they’re with their families and in their communities. 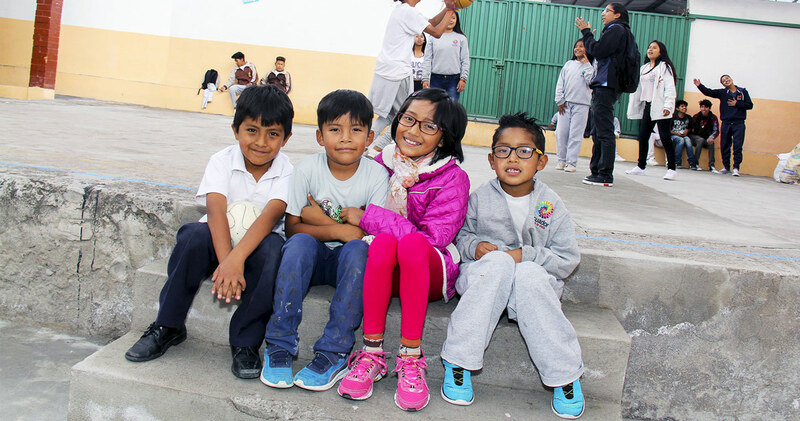 Compassion is committed to continue to reach children in areas of extreme poverty in Ecuador. One of the greatest struggles our children face in the public schools and in their neighborhoods is the aggressive approach by street drug dealers. They see children in need as instruments to introduce drugs into their schools and communities. In impoverished areas, it’s common to see parents with a large number of children forced to leave them alone under the care of the oldest child, who is yet a minor, while the parents work to support the family. This situation leaves the children vulnerable to corrupt individuals. This phenomenon is a real threat for these children and their communities. Although a handful of government medical centres are accessible in many low-income areas, they lack the medicine to treat the people, so families are forced to look elsewhere for medications. Clean, running water is always lacking, and although local vendors sell and deliver it in some areas, families often don’t have the means to buy it. In the past two years, God has allowed us to see significant movement in impoverished communities where no churches existed. New churches are opening as a result of church-planting efforts in such areas. These new churches have a clear vision to serve in such a way that their presence is causing a stir in their communities. We continue to implement tools and enhance our partnership strategies to serve our children better. The sponsorship program has raised up men and women who are now active leaders in their communities. Many of them are church pastors and staff in our child development centres. One cannot describe the bond that exists between the sponsor and the sponsored child. We can’t measure the happiness and hope children experience when they learn they will be sponsored and that soon they will receive a letter, a photo, or even a visit. That is why we encourage you to keep in contact with your sponsored child. It is absolutely wonderful to see children celebrating as they receive correspondence from their sponsors. The love and care of a sponsor, expressed in letters, lifts children up in ways you could never imagine. As we look around and see a new generation of children in need in Ecuador, we are in awe with the realisation of the huge task God has entrusted to us. On behalf of the children of Ecuador, I would like to express my appreciation for your support and prayers. The children registered in our program are blessed, and they are aware that not everyone in their communities has the same opportunity. It is because of you that they can be valued and loved, learn to walk with Jesus, and become responsible and healthy adults. There are no words to express the gratitude my heart feels for your sponsorship. Your giving has changed the destiny of your sponsored child, and that is priceless! My heart fills with joy as I express my appreciation and recognise your generous giving. One day while playing with her active child Emilia Llugsha, Liliana noticed some strange bumps on eight-year-old daughter’s neck. Seeking an answer, Liliana took her from doctor to doctor. Although many doctors said it was normal, Liliana’s mothers’ intuition told her something wasn’t right. After some time, Emilia was finally diagnosed with leukaemia. One day while playing with her active child Emilia Llugsha, Liliana noticed some strange bumps on eight-year-old daughter’s neck. Seeking an answer, Liliana took her from doctor to doctor. Although many doctors said it was normal, Liliana’s mothers’ intuition told her something wasn’t right. After some time, Emilia was finally diagnosed with leukaemia. Emilia started chemotherapy in July 2015. The treatment was tough on her small body, giving her tachycardia—an accelerated resting heart rate—and placing her in intensive care. For the remainder of the year, Emilia continued to face a variety of health issues arising from the chemotherapy, including peritonitis—the inflammation of abdominal membranes. Through this struggle, Emilia and Liliana sought comfort in the Compassion program run through the local church. Alongside providing encouragement and prayer support, Compassion also provided Emilia with supplies that weren’t provided by the hospital including hygiene supplies, clothing, and food baskets to ensure Emilia received adequate nutrition. By December 2015, there was a light at the end of the previously dark tunnel—Emilia was going to be fine. Her cancer was no longer life-threatening. Emilia has not stopped thanking God for this great miracle in her life. With her future ahead of her, Emilia dreams of establishing a foundation for children with cancer. Praise God for the children in Compassion’s programs who have accepted Jesus as their personal Saviour and have been baptized. Please pray for these children to continue to follow the Lord and for strength as they continue completing His work. Please pray for the high school graduates who did not get a place to attend university and are feeling very discouraged. Please pray for God to give strength to them through His Word, and to bring new opportunities where they will be able pursue further education. Please pray for 10-year-old Aimar who has rheumatism—a strong pain affecting her joints, bones, heart, kidneys, skin and lungs. She is undergoing medical treatment although still experiences significant pain. Please pray for complete healing over her body. Please pray for Jossimar who suffers from a degenerative disease that affects her bones, brain and comprehensive development. Compassion is providing her with monthly support for her medical treatment. Please pray for miraculous healing as she feels great discomfort every day.